English films made in India are more often than not a scary proposition. Sanjay Gupta Art House pursuit of the great Indian happiness, peace is more theatrical, talkative and less cinematic. 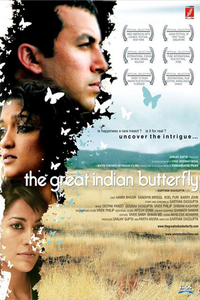 The idea of portraying the caustic wit of confused and troubled relationships witness in urban couples could have been used as a brute force the reason why we search for the butterfly but first time writer director Sarthak Dasgupta's theaterish TV type approach softens the edge of the movie.